Generous proportions combine with graceful, sympathetic curves, all expertly hand crafted using luxurious materials and time-honoured techniques to create a real feeling of opulence and sophistication. 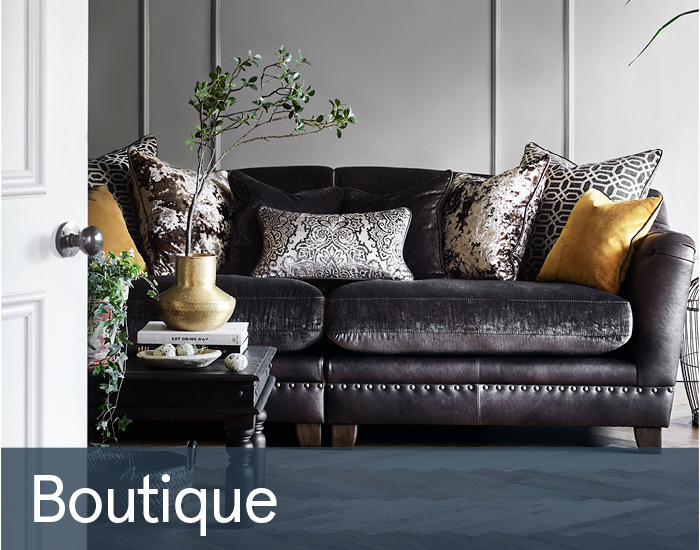 Boutique’s heritage deep buttoning, hand tacked brass studs and tactile coordinating velvets, damasks and natural leather will satisfy even the most discerning of tastes. Then enjoy supreme deep comfy seats with plump feather and fibre filled cushions for years of complete relaxation.